Sometimes the simple, but important words “Thank You” can get lost in the noise of the season. So, as well as wishing you season’s greetings at this time of the year, we also express our grateful thanks. We’re thankful to all of you who give regularly to Mondo’s work, who have sponsored a volunteer, who have travelled to the countries where we work and supported the amazing staff who with your support are helping to transform the lives of thousands of young people, women and families. Funding 98 women to set up their own businesses in Tanzania. A special re-union event we are holding with our Nepal in-country manager, Jimmy Lama, in London on Saturday January 27th 2018. Thank you for being part of these stories of hope and resilience. 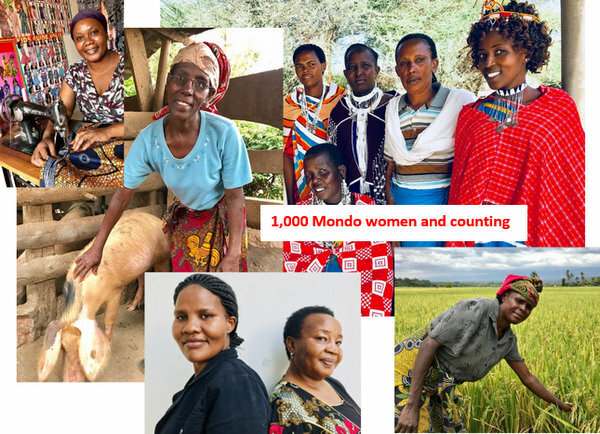 Tanzania: 1,000 Mondo women and counting…. 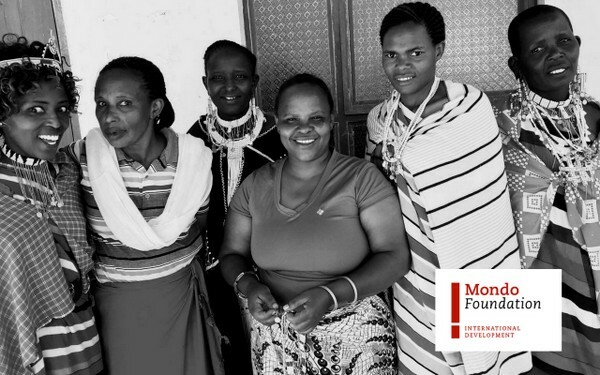 Earlier this year Stephen Carrick-Davies, Mondo’s CEO traveled to Tanzania to meet the wonderful staff and volunteers who are supporting women to establish their own businesses. During the last 12 months we have funded another 98 new businesses and provided a further 69 business loans to previous grant recipients so they can expand their businesses. This takes our total of HIV+ women supported to just over 1,000! At the beginning of June we started receiving reports from our MondoChallenge Kalimpong team that there had been police vehicles set on fire, two protesters killed and an indefinite shutdown announced following calls by the Gorkha Janmukti Morcha (GJM) for a ‘Gorkaland’ separate state. Very soon it became clear that all 13 of the schools we support were closed and their internet access was cut off. The results have been devastating and our teachers have not been paid. Remarkably some of the schools started running ‘pop-up’ Saturday schools to ensure children were still accessing education. However the strike continued for 104 days and only recently have the schools we support been able to re-open. We’ve heard stories of real hardship and have responded by committing an extra Â£3,000 as an emergency relief package so teachers can be paid. We’ve also launched an appeal to some of the 150 volunteers who over many years have worked with us in Kalimpong. If you can help us to support these schools so teachers can be retained and we can continue our Quality Education programme we would be so grateful. Click here if you are able to support our Christmas Appeal. 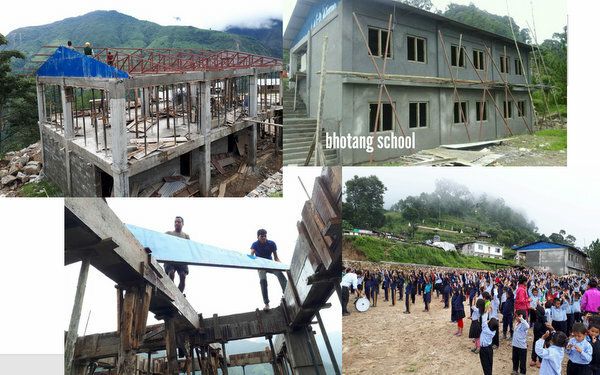 It’s one thing to build one new school, but building four new earthquake-resilient schools at the top of the world, where roads and communications are less than smooth, has been nothing short of a miracle! But that is what the Mondo HELP team have done in Nepal. Following the commitment of Mondo to fundraise to build 15 new schools following the devastating earthquake in 2015 we’ve now completed 11 schools and 2 girls’ hostels. For each of these schools we are supporting teacher’s salaries, providing teacher training, supplying quality volunteers and funding scholarships so young people can progress on to university. This holistic approach is how we are ensuring our work is sustainable and contributes to UN Sustainable Development Goal no 4; Quality Education. More news to follow on the opening of the 4 new schools in our next newsletter. In closing, we’d like to wish all our supporters season’s greetings and thanks for all your continued support. We look forward to seeing some of you on the 27th January for our reunion and look forward to staying in touch with you in 2018.